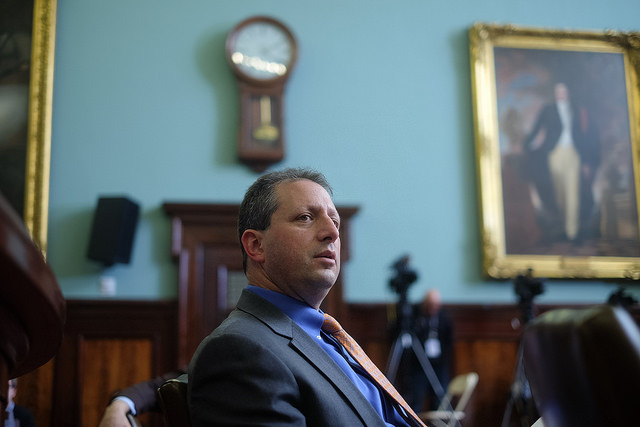 New York City Council Member Barry Grodenchik, a Democrat from Queens, will face formal disciplinary charges after a complaint of sexual harassment against him was found to be credible by the Council’s Committee on Standards and Ethics on Thursday. 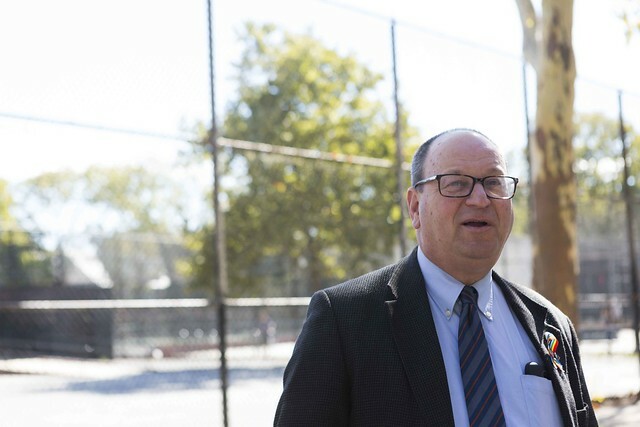 Council Member Steven Matteo, chair of the standards and ethics committee, announced at a hearing Thursday afternoon that the committee would initiate formal disciplinary proceedings against Grodenchik regarding Section 10.80 of the Council’s rules, specifically in relation to anti-discrimination and harassment. According to Matteo, the complaint against Grodenchik alleged that the Council member “paid unwelcome attention” to a Council aide over the course of a year, including making comments about her weight and repeatedly greeting her with a hug and a kiss on the cheek. In one instance, at a work meeting with several other people present, Grodenchik allegedly blew a kiss at the staffer and, when the meeting ended, walked around the table to give only her a hug and kiss on the cheek. Following the Thursday hearing, the standards and ethics committee will issue a “formal notice of charges” to Grodenchik, who appeared before them in a closed session earlier in the day. Further deliberations and a vote on the charges will happen in a closed-door session, Matteo said, before a report is issued. If the committee finds that Grodenchik must be sanctioned, its recommendations will be sent to the full Council for a vote. The committee also dismissed one other matter on Thursday regarding allegations against a member who allegedly asked a staffer to participate in political activities. The committee ruled the claim “unsubstantiated” and closed the matter. The committee has been particularly busy in this session, and there appear to be multiple ongoing investigations into alleged wrongdoing by Council members. Speaker Johnson has said this is in part because he is quick to refer complaints to the committee rather than attempting to resolve them internally. Members of the New York City Council have joined together with cultural institutions and advocates to petition Mayor Bill de Blasio to increase by $40 million the funding for cultural programming and organizations in the upcoming city budget. 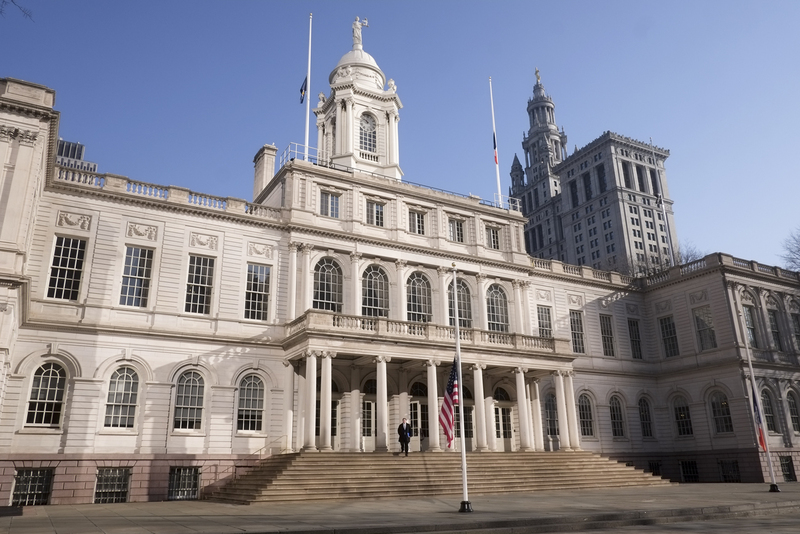 With a budget deal due by the July 1 start of the new fiscal year, final negotiations are underway between the City Council and the de Blasio administration, and outside groups are making their last gasp lobbying efforts. The petition to increase funding for the Department of Cultural Affairs in the city budget is in part a response to city funding for cultural affairs having stagnated since peaking at $161 million in 2008. Despite economic growth and increased spending leading to a ballooning city budget in recent years, city funding for the Department of Cultural Affairs has actually decreased slightly overall and somewhat significantly as a percentage of the city budget, which will be in the neighborhood of $82 billion for the coming fiscal year. A coalition of cultural organizations called One Percent for Culture, which was formed in 2010 to encourage the city to increase cultural affairs funding, is working with City Council members to draw the mayor’s attention to the needs of nonprofit cultural organizations reliant on funding from the Department of Cultural Affairs. The coalition is a nonprofit made up of over 1,300 members, including both independent groups and institutions built on city land. The Brooklyn Museum, BRIC, Alvin Ailey Dance Foundation, and Harlem Stage are all members, for example. 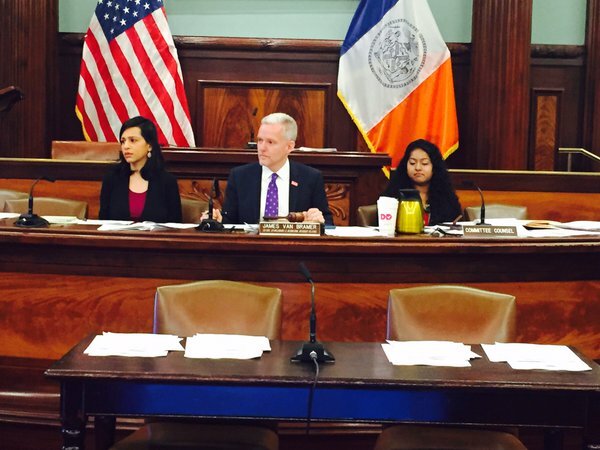 “We are frustrated that culture and the arts have not seen any increase despite the fact that the money is there,” City Council Majority Leader Jimmy Van Bramer said in an interview with Gotham Gazette. Van Bramer chairs the Council’s cultural affairs committee and has worked closely with One Percent for Culture since 2013. Van Bramer is leading the current Council petition for a $40 million increase in cultural affairs funding, which has the support of Republican Minority Leader Steven Matteo and 44 other members of the 51-seat Council, all of whom signed a letter submitted to the mayor on May 18, just ahead of the Council’s May 19 executive budget hearing on cultural affairs and libraries. 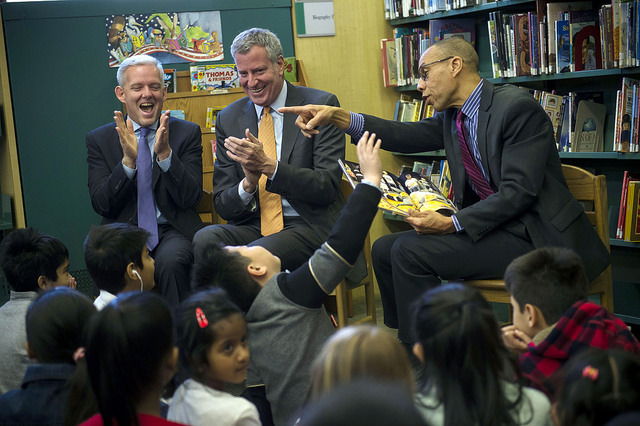 De Blasio did approve a $23 million increase in arts education funding in 2014, $1.4 million of which has gone to cultural institutions through their partnership programs with schools. But this is far from the increase in funding currently sought by the City Council, arts organizations and advocates that would go straight to cultural institutions through the Department of Cultural Affairs. The commissioner of the department, currently Tom Finkelpearl, advises the mayor on the needs of cultural programs and controls the distribution of the department’s funds. Two department funds exist, one of which goes to support the operating costs of the Cultural Institution Group (CIG) members. This group is made up of the cultural institutions built on city land, which include the Queens Museum, the Brooklyn Botanic Garden, and the Public Theater, among others. CIG members are receiving $103.8 million altogether through the Department of Cultural Affairs in the current fiscal year, according to a spokesperson from the department. The rest of the cultural affairs budget goes into the Cultural Development Fund, from which the department distributes grants to independent cultural groups in the city. These groups are receiving $33.9 million in grants from the Department of Cultural Affairs this fiscal year, according to the department spokesperson. The City Council is asking that the $40 million increase in the cultural affairs budget be split between the two funds, if it is granted. Spokespeople from CIG organizations and independent groups say they need more funding to keep pace with rising operational costs and public interest. Increasing rents in the city have hit independent organizations hard since 2008, while growing membership numbers have raised the operating costs of city-affiliated institutions, they say, without adequately providing more revenue. Approximately 70 performance venues have closed since 2008 due to insufficient funds, according to Guy Yedwab, the managing director of the League of Independent Theater, an advocacy group representing theater groups in New York City. Many of the League’s members apply for grants from the city each year. Often, groups will receive funding from the city one year, but not the next, according to Yedwab. The New York International Fringe Festival is one of these groups. “They’ve gotten it so many times in the past, I’m sure it doesn’t come down to an issue of quality. There’s just not enough money,” he said. Half of the $40 million increase in funding proposed by the City Council would go toward the Department of Cultural Affairs’ grant-making capacity, almost doubling it, and directly impacting independent organizations like the members of the League of Independent Theater. Meanwhile, the $20 million increase in funding the City Council suggests be allotted to cultural organizations built on city-owned land, like museums and botanic gardens, would help these institutions keep up with growing attendance due to the city’s municipal identification card program, IDNYC, which comes with free membership to CIG member institutions and other participating cultural organizations. The size of the Brooklyn Children’s Museum membership pool has almost tripled due to the program, according to the director of external affairs for the museum, Lucy Ofiesh. “The expansion in our membership was a welcome change but surely had some fulfillment need associated with it,” she said. The museum’s operating budget is $5.1 million, $1.6 million of which comes from the city, according to Ofiesh. “We see about 30 percent of our audience for free every year, and that number continues to grow. So our need for public funding continues to grow, as well,” she said. Likewise, the Queens Museum, which reopened in 2013 after undergoing renovations funded by the city, has added 3,700 new members through the IDNYC program. While welcome, this growth has come with increased personnel costs, according to the museum’s deputy director, David Strauss. “There’s always a private funder who is willing to fund initiative A or exhibition B, what there isn’t is a foundation that is really excited to fund your security guards, your bathroom cleaners,” Strauss said. The funding that CIG member institutions receive from the Department of Cultural Affairs typically goes toward these types of operational costs. “It’s just going to be an untenable situation if more people are coming in and we cannot afford more toilet paper,” Strauss added. While IDNYC has brought many more people through the doors of the city’s cultural institutions, it has not brought in enough revenue to account for the costs, much less improve bottom lines beyond them, according to several leaders of CIG member organizations. Asked about the push for more funding for the Department of Cultural Affairs, mayoral spokesperson Rosemary Boeglin said in a statement that the city “is proud to be the largest local funder of arts and culture in the United States.” Boeglin highlighted the IDNYC program, which was implemented by the city in 2015, and the mayor’s 2014 increase in funding for art education in schools. “We look forward to continuing our close work with partner organizations and the City Council to provide access to awe-inspiring and mind-opening cultural experiences for all New Yorkers, and to discussing all of the council's budget priorities as we approach budget adoption,” she said. This is not the first time de Blasio has been asked to increase funding for cultural affairs in the city budget. Last year, One Percent for Culture asked the mayor to increase the budget by $30 million, without the backing of City Council members. The City Council passed legislation last year that calls for the development of a Cultural Plan that is intended to answer many of these questions, according to Cumbo. The plan is in development now and will be released in July 2017. Note: this article has been corrected to reflect that The Public Theater is part of CIG. 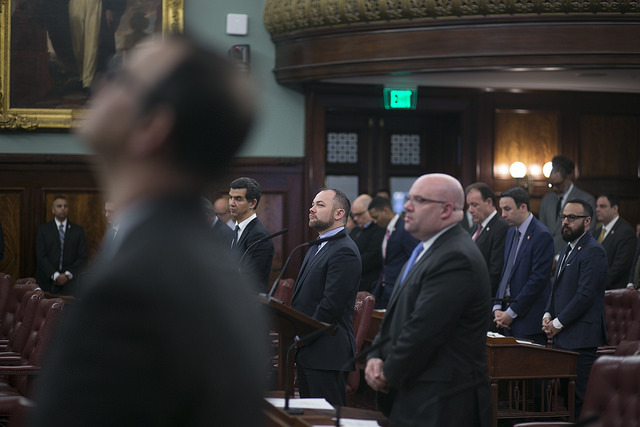 The City Council voted on Wednesday to pass the Criminal Justice Reform Act, a package of eight bills largely aimed at diverting low-level nonviolent offenses from criminal to civil matters. Offenses such as public urination, littering, drinking alcohol in public, and being in a park after hours are currently enforced as criminal misdemeanors and prosecuted in criminal courts, at times resulting in permanent criminal records for offenders. 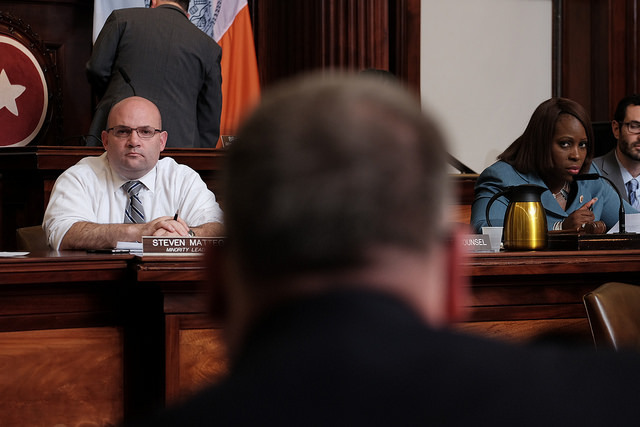 Under these bills, spearheaded by Council Speaker Melissa Mark-Viverito to put “more justice” into the criminal justice system, police officers will be encouraged to hand out civil fines instead of criminal summonses. Mayor Bill de Blasio has indicated he will sign the bills, which will be enactment in a staggered fashion, giving the NYPD time to create new guidelines and train officers in the new rules. 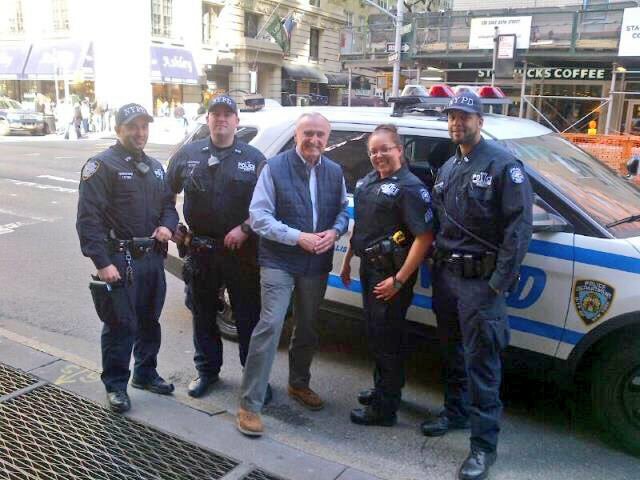 Police Commissioner Bill Bratton has also given the bills his seal of approval, though he asserted throughout the two-year process of legislative negotiation that it was essential not to remove the corresponding criminal violations for the offenses and his wish was granted. One bill, that reduces breaches of park rules from criminal misdemeanors to violations, goes partially into effect 30 days after it is signed into law. Two specific violations -- being in a park after closing and failure to comply with park signs -- will no longer be enforced as misdemeanors after those 30 days while the other provisions in the bill only take effect after a year. A bill that creates civil instead of criminal fines for public urination and littering will apply after 60 days. The intent of the legislative package is to reduce the impact of Broken Windows policing, a system championed by Bratton under which the police department aggressively enforces low-level offenses in an effort to maintain order and preempt more serious crime. This method, critics say, disproportionately affects young men from low-income communities and communities of color. “These bills will give our police force the tools they need to address low-level offenses for exactly what they are: infractions to be taken seriously but not ones that should yield life-altering consequences,” said Council Member Vanessa Gibson, chair of the Committee on Public Safety and sponsor of one of the bills, before the vote. 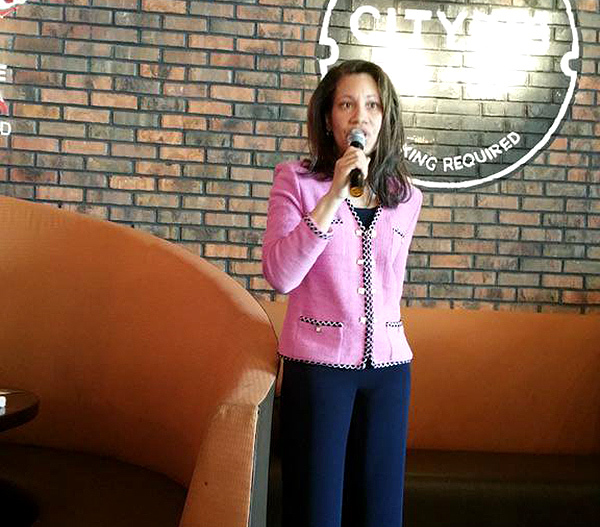 The bills, she pointed out, would reduce the burden on the city’s criminal courts while reducing the “harsh penalties” given for low-level offenses to people of color and low-income communities. She stressed, though, that the legislation was not making anything legal that was illegal. “[The CJRA] will ensure proportionality and fairness on a grand scale, all while keeping our city safe,” said Mark-Viverito at Wednesday’s vote. Within the Council itself, there was varying opposition to the bills. Of the eight bills, two passed unanimously -- they require the NYPD to deliver quarterly reports on summonses and Desk Appearance Tickets (handed out in misdemeanor cases). The bill reducing penalties for littering was the most heavily opposed, passing 39-10. The bill that requires the NYPD to create guidelines for civil punishment instead of criminal summonses passed 40-9. Other bills received four or five “no” votes. There are 51 members of the City Council, but two were absent Wednesday and could not vote. 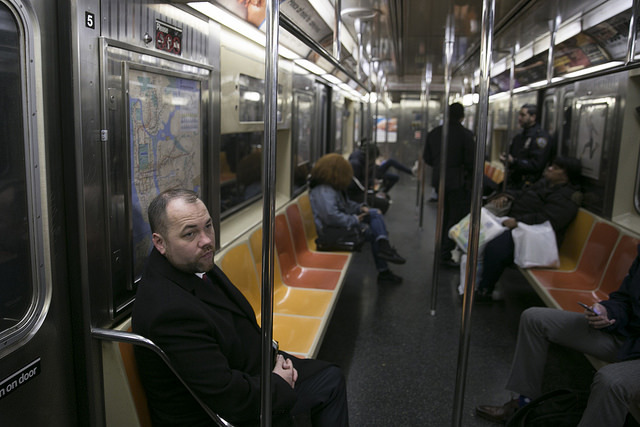 Some Council members, like Queens Republican Eric Ulrich, warned of the bills ushering in a decreased quality of life in the city. 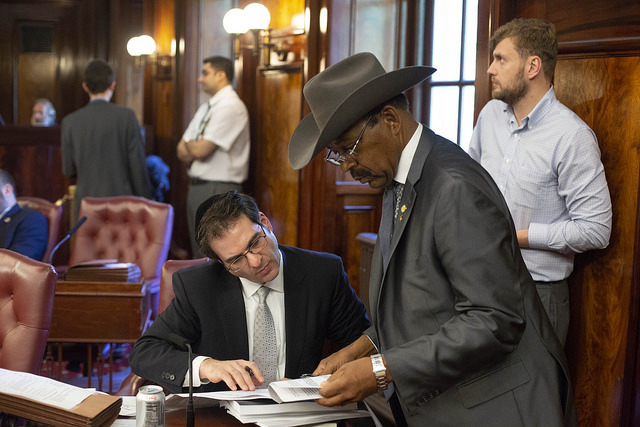 Others, like Brooklyn Democrat Jumaane Williams and Bronx Democrat Ritchie Torres, stressed that the legislation is aimed at creating a fairer criminal justice system.